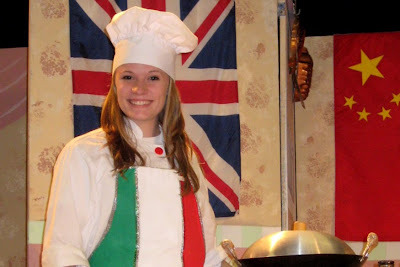 Sierra Chamber Opera -- "Chefs Go 'Round The World"
This is such a great opportunity for Kaylee! We're very grateful to her voice teacher, Barbara Vlymen, for hiring her as part of the cast. 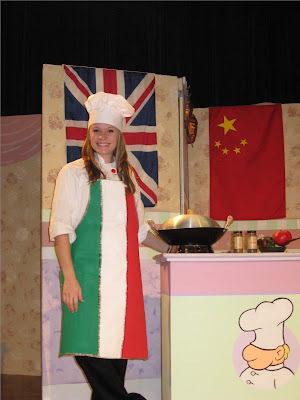 (You may recognize the set -- Jenny performed with the same group a couple of years ago - as an American Chef.) 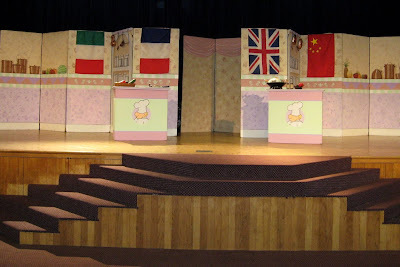 The Sierra Chamber Opera has been performing in schools for (let's see if I get this right) 33 years, I think. 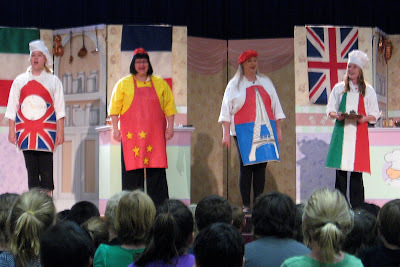 They hope to get in about 200 shows per year, introducing many elementary school children to classic opera music with a twist (age-appropriate and humorous educational story lines). You can visit their website at http://www.SierraChamberOpera.org.